Portfolio list options link is displayed just below the results bar near the top of the portfolio tool. 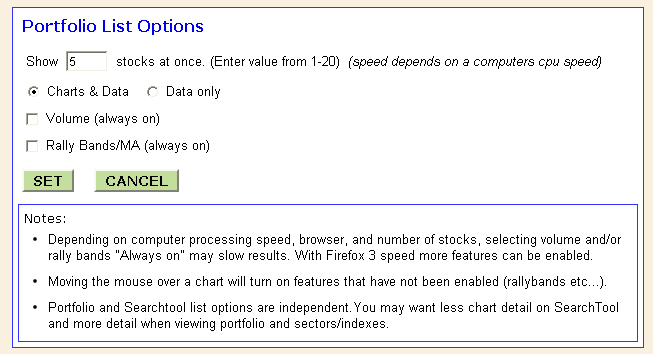 Portfolio and Searchtool have independent list options.You may want less chart detail on SearchTool and more detail when viewing portfolio and whole sectors/index lists. 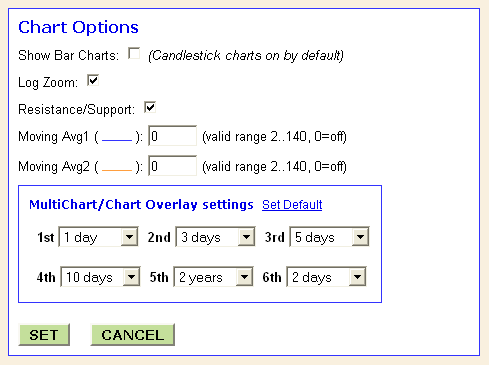 Chart Options link is displayed just below the results bar near the top of the portfolio tool.